If you're due for a haircut, you can help a domestic abuse survivor if you wait until early next week. 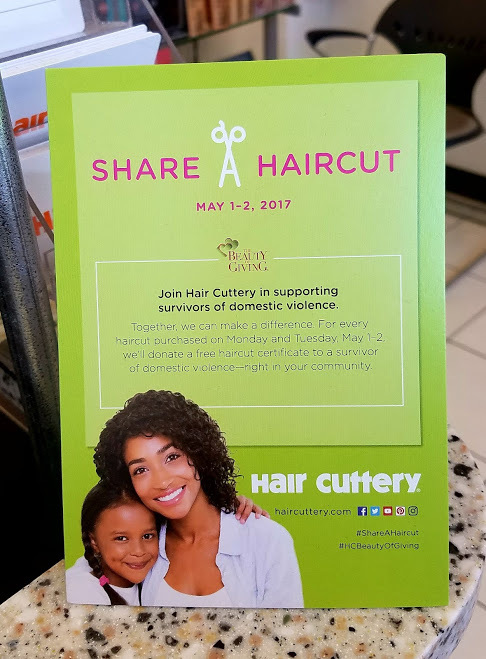 Hair Cuttery says, "Stop in for a haircut on Monday, May 1st or Tuesday, May 2nd, and we'll donate a free haircut certificate to a survivor of domestic violence in your community. For any haircut purchased at any Hair Cuttery location on the designated days, a free haircut certificate will be donated to someone in need through our partnership with The National Network to End Domestic Violence.